Pretty well, actually. I tried it out with some worksheets I found in a quick search and was pleasantly surprised. It was able to pick up the topics of related questions quickly, and for really simple stuff it even provided answers. I only tried it out with basic questions, as I found it choked a bit when there was a large quantity of text on the screen. It was hit and miss with math. I don't know if it was an error with OCR or just a limit to the complexity of the questions it can answer, but with anything of even mild difficulty, it seems to just give up. It could be that the target audience for the app is a bit younger than high-school level, though. I didn't have many issues with simpler questions. Some of the errors were pretty humorous. Overall, though, I think it could really come in handy for someone dealing with elementary or middle school level questions. If I had a kid that might be having trouble with specific math or science categories, this would be a pretty reasonable first-step before tutoring. It does force them to do some of the research themselves, which is a good thing. 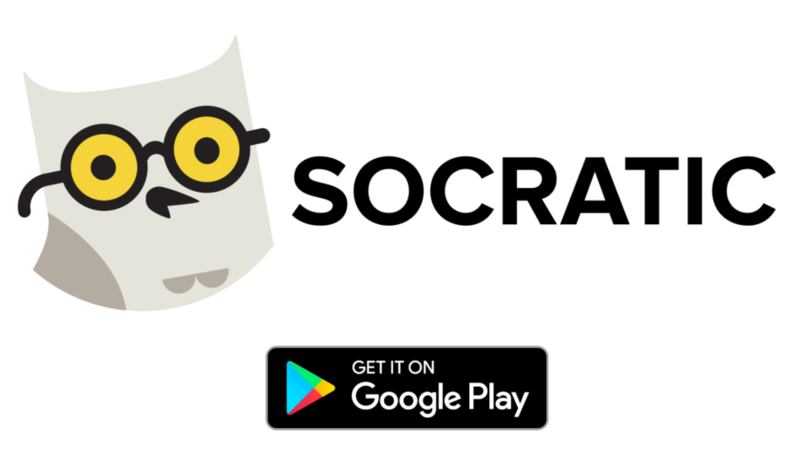 Whole sections of Socratic and its services are open source, too, which is very cool. 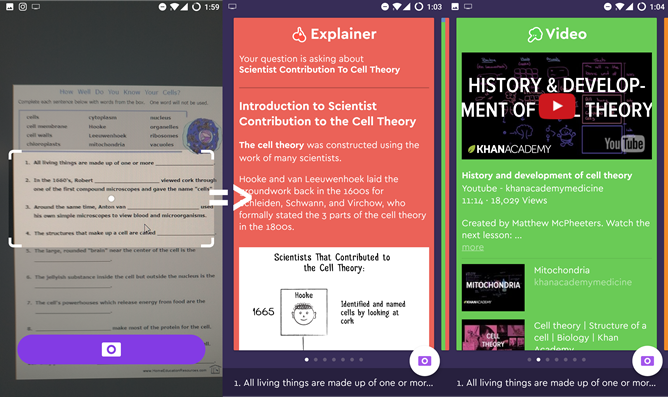 Education apps are a highly competitive space, so I'm glad to see them caring more about the quality of the service than hiding the formula to their secret sauce. 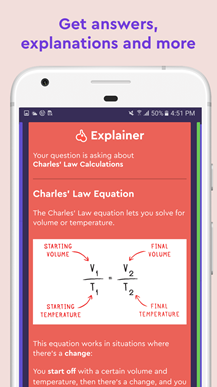 The idea for the app is cool, but what it actually does at a technical level seems to be pretty simple. From the errors I've seen come up with my own questions, my guess is it's just doing some OCR and searching with the resulting text. I'm sure there's more on top of parsing that data at Socratic's end, but that's the gist of it. That isn't necessarily a bad thing, it works well. It's not too bad at figuring out relevant topics from context, either. 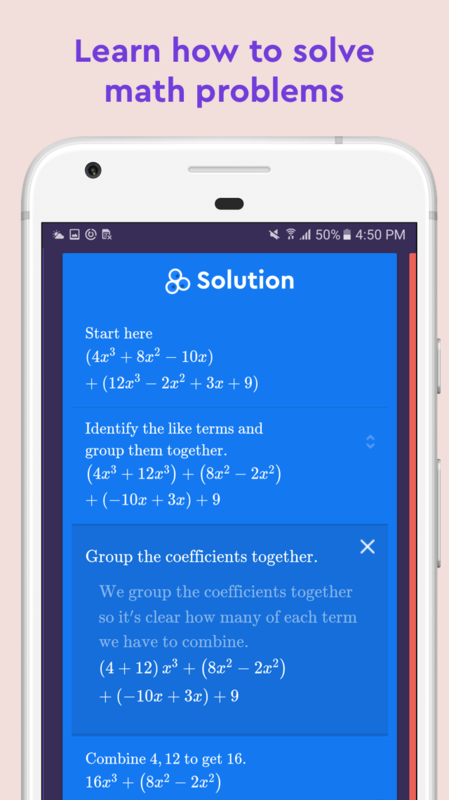 Socratic begs comparison, as there are tons of other apps that provide similar functions. Education is a huge market. I don't have space here to mention them all, but I'll try to cover some of the big ones. 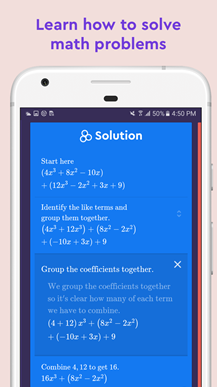 MyScript Calculator allows you to write math equations on your phone's screen, and it solves them. But as the name suggests, that's just a calculator. It doesn't show you any research relevant to the ideas you scribble on the screen, and it doesn't work for other topics. 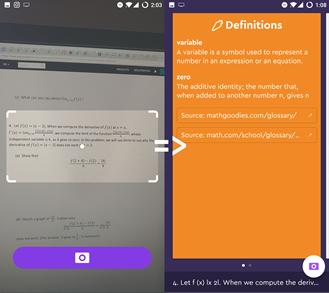 Photomath integrates camera support, but, again, that's just math. WolframAlpha is unarguably a fantastic tool for quickly finding relevant answers and information. Compared to Socratic it's not quite as simple, though, as it targets an older audience. 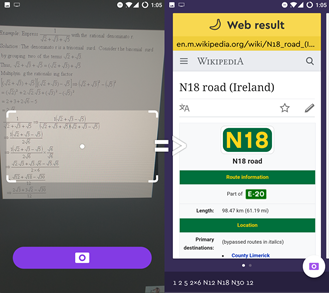 One has to research the problem themselves in WolframAlpha, as opposed to just snapping a picture and seeing what comes up. 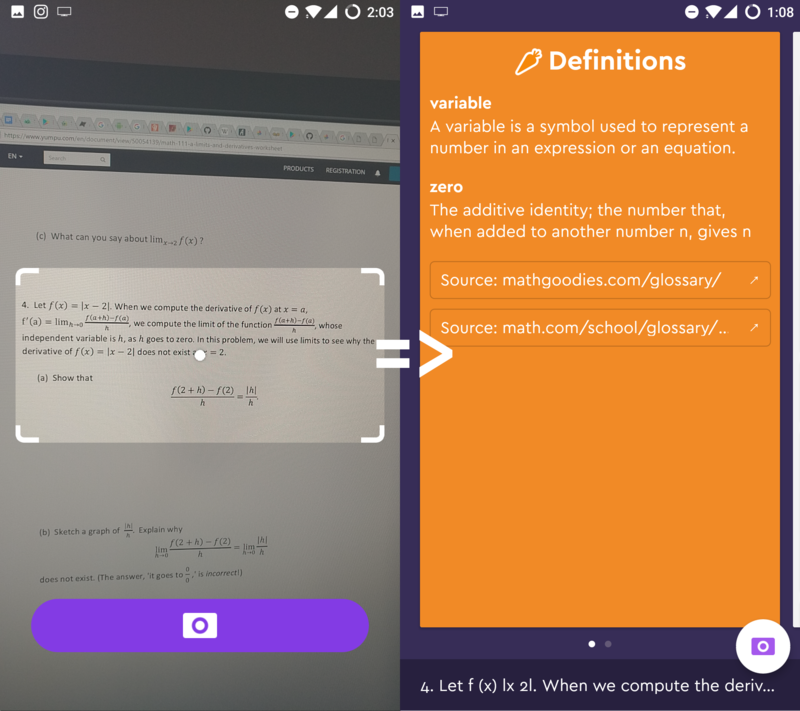 I use WolframAlpha quite a lot, and I think that the benefits to the individual that come from research outweigh any potential convenience in an educational capacity, but that's a matter of opinion. Brainly and Quora do come close in features, but they do it in a different way. With both, you can ask a question and (hopefully) get answers. But, those services farm out to other people, sort of like Yahoo Answers. As a result, there might be a wait to get your questions answered, and accuracy could be a problem since, at a functional level, both are just education-oriented social networks. This app isn't meant to replace other services like Khan Academy (wrong Khan), as it doesn't educate in quite the same way. This is about answering questions, not exploring a topic. I think the two could probably work together pretty well. If it sounds like the sort of thing your kid might have a use for, feel free to check it out over on Google Play or on APKMirror.